To help you with these issues, we custom design a variety of drum handling equipment which include: Drum Lifts, Drum Dump Systems, and Drum Fill Systems. We are particularly proud of our Post Lift Drum Handling System, which can lift, invert, rotate, and dock a drum into a specific unloading position reliably and accurately. All controls are completely programmable using Allen-Bradley PLC components. 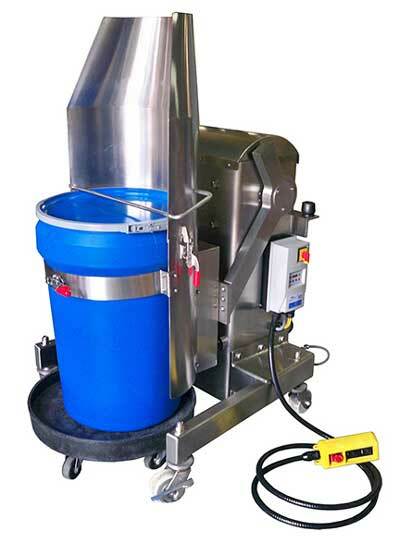 Whether you need a continuous liner drum fill system or an accurate drum batch system, IEDCO can design a drum fill system that fulfills the specifications of your project. Using a variety of drum fill heads, we can custom design a system that can fill virtually any size drum. 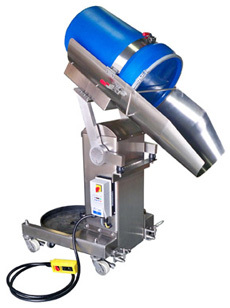 IEDCO’s drum fill equipment can be stationary or portable. 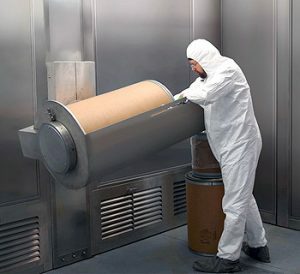 Drum filling is a common occurrence when working with powders in the pharmaceutical, chemical, and food industries. 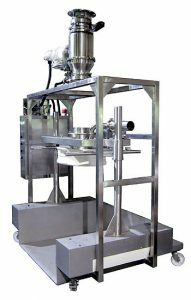 However, sometimes the powder involved calls for a fully contained filling process to either protect the operators or even the powder itself. 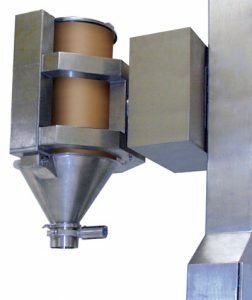 IEDCO has developed a line of Continuous Liner Drum Fill Systems to allow for completely contained drum filling.